What Does Methylation Do in the Human Body? Methyl donors, such as folate, vitamin B12, methionine, betaine or trimethylglycine, and choline, are fundamental for a variety of biochemical pathways which occur within a cell. Understanding how the human body utilizes methyl donors as well as what does methylation do in the human body can help people achieve overall health and wellness. 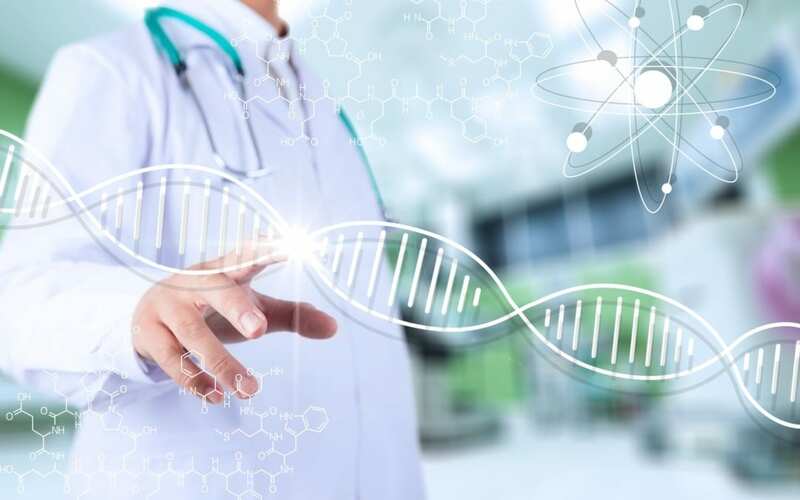 Dr. Alex Jimenez, chiropractor, explains the essential functions of methylation on the cardiovascular, neurological, reproductive, and detoxification systems, among others. Cell division, DNA and RNA synthesis. The metabolism of folate is essential for both DNA and RNA synthesis because it is also frequently associated with the biosynthesis of purine nucleotides and thymidylate. Methyl donor deficiency can increase the risk for cytosine deamination into uracil which can elevate DNA strand breaks, fragmentation, apoptosis, and carcinogenesis. Early CNS development. Folate deficiencies associated with genetic and environmental factors can increase the risk of neural tube defects. According to research studies, however, methylation can help improve early CNS development. National folic acid food fortification programs have been demonstrated to be successful at decreasing the risk of this condition in newborns. Gene expression. DNA methylation is a fundamental epigenetic process which regulates gene expression. DNA methyltransferase, or DNMT, enzymes are in charge of attaching a methyl group to cytosine bases in CpG dinucleotides. Mammals introduce approximately 80 percent of CpG dinucleotides for gene expression. Elevated levels of methylation in gene promoter regions can generally cause repression. Methylation can either promote or repress expression. Research studies suggest that hypermethylation, or the increase in the methylation of cytosine and adenosine residues in DNA, is associated with the increased risk of cancer and other health issues. Post-transcription modification. Methylation of post-transcription RNA and microRNA can help regulate microRNA translation and protein synthesis. Abnormal RNA methylation activity has been associated with a wide variety of health issues. Immune cell differentiation. Methylation regulates the development of immune cells, including T cells and Th2 cytokine regulation. Neurotransmitter biosynthesis and metabolism. Methylation through SAMe is an essential process in the metabolism and synthesis of biogenic amine neurotransmitters, such as dopamine, norepinephrine, epinephrine, and serotonin. Additionally, methylation is necessary for acetylcholine biosynthesis. Methylation can also regenerate tetrahydrobiopterin, a co-factor in biosynthetic pathways. Histamine clearance. One biosynthetic pathway for histamine metabolism occurs through histamine N- methyltransferase, which needs the methyl donor SAMe. Low SAMe or altered enzyme activity can lead to an increase in histamine and clinical symptoms. Detoxification. Together with glucuronidation, sulfuration, and acetylation, methylation is an essential pathway for the biotransformation of xenobiotics within phase II detoxification. Poor methylation activity can reduce the human body’s ability to detoxify, which can lead to toxicity-related health issues. DNA methylation also regulates Nrf2 signaling, known as the “master regulator of antioxidant defense”, a fundamental mechanism that regulates numerous phase II detoxification enzymes. Hormone biotransformation. Methylation can help clear as well as regulate estrogens through COMT. If this process is interrupted, estrogen metabolites can increase the risk of oxidative DNA damage. Methylation is important because it can help support safe estrogen clearance, regulation, and even detoxification in patients with estrogen dominance or estrogen-receptor positive cancers. Cellular energy metabolism. Methylation plays a fundamental role in mitochondrial or cellular energy metabolism through the biosynthesis of CoQ10, carnitine, and ATP. Cellular or mitochondrial energy metabolism can promote overall health and wellness. Phospholipid synthesis. Methylation also plays an essential role in phospholipid synthesis. SAMe is required for the biosynthesis of phosphatidylcholine, a primary component in the cellular membrane as well as a precursor for acetylcholine, among others. Myelination of peripheral nerves. Concentrations of SAMe deficiencies in the cerebrospinal fluids have been demonstrated to cause demyelination. DNA methylation can ultimately help improve and maintain the myelination of the peripheral nerves. Methylation is one of the most fundamental metabolic functions of the human body and it ultimately depends on the correct function of a variety of proteins and enzymes. Methylation is the transfer of a methyl group into proteins, amino acids, enzymes, and DNA to regulate cell energy, genetic expression, and detoxification, among other essential processes. Poor methylation activity can cause a variety of health issues, including chronic inflammation, cardiovascular disease, and cancer, among other health issues. Understanding what does methylation do in the human body can help significantly improve overall health and wellness. While many healthcare professionals can recommend nutritional guidelines and lifestyle modifications, there are several alternative treatment options you can try for yourself at home. As described above, however, supplementation for methylation support should be correctly determined by a healthcare professional. Smoothies and juices are a fast and easy way to include all the necessary nutrients you need for methylation support in a single serving. The smoothies and juices below are part of the Methylation Diet Food Plan. alanced methylation support can be achieved through proper nutrition. The ProLon® fasting mimicking diet offers a 5-day meal program which has been individually packed and labeled to serve the foods you need for the FMD in precise quantities and combinations. The meal program is made up of ready-to-eat or easy-to-prepare, plant-based foods, including bars, soups, snacks, supplements, a drink concentrate, and teas. The products are scientifically formulated and great tasting. Before starting the ProLon® fasting mimicking diet, 5-day meal program, please make sure to talk to a healthcare professional to find out if the FMD is right for you. The ProLon® fasting mimicking diet can help promote methylation support, among a variety of other healthy benefits. Many doctors and functional medicine practitioners may recommend higher doses of methyl donors in several patients, however, further research studies are needed to determine the proper amount of methylation supplementation. The scope of our information is limited to chiropractic, musculoskeletal and nervous health issues as well as functional medicine articles, topics, and discussions. To further discuss the subject matter above, please feel free to ask Dr. Alex Jimenez or contact us at 915-850-0900 . Thank You For Visiting !! I hope you have enjoyed our blog posts on various health, nutritional and injury related topics. Please don’t hesitate in calling us or myself if you have questions when the need to seek care arises. Call the office or myself. Mobile: 915-540-8444 Call Me Personally. Lo que puedo decir del Dr Jimenez que es muy social , y siempre me da consejos de cómo hacer mis ejercicios de Crossfit, para mi bien , o sea mi salud. I love this place. They actually know what they’re doing. I was afraid of a doctor wanting to send me to surgery right away but he put me at ease that it wasn’t necessary if we worked at it the right way. My back is straight now. Still going regularly to maintain. Dr. Jimenez is amazing. I felt a difference right away with him. I had been treated by other chiropractors but I could still feel the pain. Months of time and money spent with no results. I should have looked Dr. Jimenez up a long time ago. Thank you Dr. Jimenez for caring and taking your time to make sure there has been progress. Earlier this week I finished a short treatment with Dr. Jimenez. It is always a welcoming atmosphere and great experience! I was unaware that not only would I be receiving treatment for my physical issues, but advice on other personal issues as well. For example, that motion is the universal key to everything - fitness, career, relationships and health. Since my treatment I feel rejuvenated and inspired. If you're looking for a chiropractor that understands the body and how to improve your troubles, definitely go to Dr. Jimenez! From someone who has been all over town to more than 10 chiropractors, Dr Jimenez is the best one I saw out of all of them. He was the only one able to get me walking in full stride again. I loved it I've been in pain for months now. Tried several chiropractors and finally found one who fixed my lower back problems very pleased. An outstanding doctor with an outstanding staff! By far, the most knowledgeable & caring chiropractic group this side of the Pecos! Dr. Jimenez is a superb chiropractor! He’s thorough & really looks at how the the whole structure of the body work together rather than isolating one part, that may be the painful part lol. His staff Sandra and Dennise are phenomenal and very friendly as well! It's a really great atmosphere to be in. Deserves the 5 stars. Since I have started been treated by Dr. Jimenez by back has improved tremendously. This is the Chiropractor I will always choose. He really does care about how he treats every single patient. I see the way he took care of me and the other patients.. What a genuine physician. Amazing methods of rehabilitation. Thank you so much. Dr.J is an amazing addition. Love having him here...All our clients love him. Dr. Alex Jimenez has been so helpful and staff is great. Dr. Jimenez is the "Chiropractor of sports injuries" Now we are all involved indirectly or directly with sports. Dr. Jimenez's is very knowledgeable in the sports medicine field. 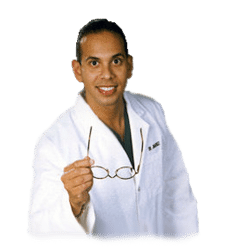 If you want to get more detail, when people say "wrestling" they automatically think of Dr. Jimenez. He IS the "Chiropractor of Wrestling". Many Blessing to you and your staff Dr. Jimenez. Amazing place to go, very recommend, mr Jimenez is a great person as well and knows how to keep his patients comfortable and happy, excellent ratings from me. Fix the pain really quick and the tips that he gave me helped me fixed my posture which fixed my pain on my shoulders! Amazing Doctor ! Was referred by my mom, she always has nothing but good things to say about the Dr and staff! Was recommended by the owner of Push, Daniel. It was a really great experience. I was afraid and Dr. Alexander put me at ease and helped my body back to normal. Dr. Jimenez is a great at what he does and is also very polite and easy to talk to on any issues that I have with my body. I highly recommend this doctors office to everyone. Thank you Dr. J. He is very good at what he does and very caring. He takes the pain away and knows exactly where it hurts. Dr. J and his staff are very respectful and great. Thank you guys!! Anyone who has ever had any type of back pain knows how it effects every aspect of your life. I've been to other chiropractors, and had positive experiences, but nothing compared to my experience with Dr. J. From the moment I walked in, the staff was super welcoming and incredibly understanding. I felt genuine concern for my well being from the moment his therapist began, (she's also phenomenal, I felt better immediately after she started working on me! ), until I walked out the door. I can honestly say I've never felt more confident in a health care provider. He asked numerous questions, and had actual solutions. He was incredibly informative and took the time to really explain everything he felt I needed and why. I feel like I'm finally going to get the long term relief and results I've been looking for. I will definitely be a lifelong patient, and will send everyone I know, to him!!! I'm a registered nurse and I want to be the best version of me to provide the best care for my patients. I injured my back and needed quick treatment. I was seen the same day I called. Very professional staff and motivating environment. I recommend them with two thumbs up. Thank you Dr. J. He is very good at what he does and very caring. He takes the pain away and knows exactly where it hurts. Dr. J and his staff are very respectful and great. Thank you guys!! :-) :-) highly recommend him if ever in need of one. Great chiropractor who takes care of you from start to finish. The first time I went in I had so much back pain and came out with little to none! On top of that, he has a super friendly staff which makes you want to go back. Will definitely recommend to others! Since I have been treated by Dr. Jimenez my back has improved tremendously. After my injury Dr. Jimenez and his staff did an awesome job taking care of me. Everytime I come in I feel I'm in the right hands. I will always count with Dr. Jimenez and will always recommend him to my Co workers and family. Thank you. ©2017 Injury Medical & Chiropractic Treatments Centers & ChiroBox Enterprise. All Rights Reserved.